ผลวิจัยที่ได้จากการศึกษาการคลอดของคุณแม่เกือบ 4 พันราย ยังชี้ให้เห็นด้วยว่า การไม่รีบตัดสายสะดือโดยทันทีจะทำให้ทารกมีน้ำหนักตัวช่วงแรกคลอดเยอะกว่าทารกที่ถูกคุณหมอตัดสายสะดือออกอย่างรวดเร็วด้วย. 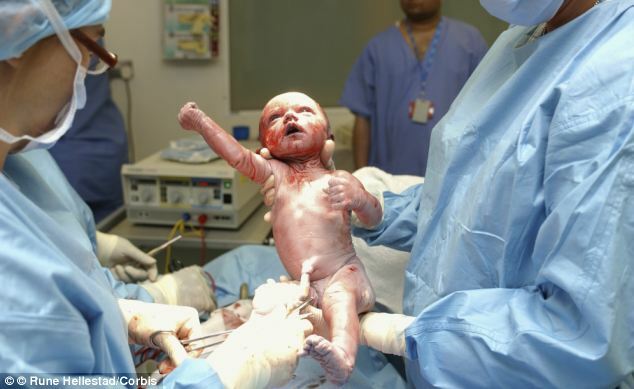 Delaying cutting the umbilical cord is good for a baby’s health, say scientists. Infants’ blood iron levels were better when the cord was clamped later, a review of previous studies showed. Cutting the umbilical cord immediately after birth – currently standard practice – puts the baby at risk of iron deficiency. Leaving the cord attached for a few minutes allows the blood in the cord to transfer to the baby. The National Institute for Health and Care Excellence (NICE) is to publish new guidelines next year. In many countries it’s standard practice to clamp the umbilical cord connecting mother and baby less than a minute after birth. But cutting the cord too soon may reduce the amount of blood that passes from mother to baby via the placenta – affecting the baby’s iron stores. 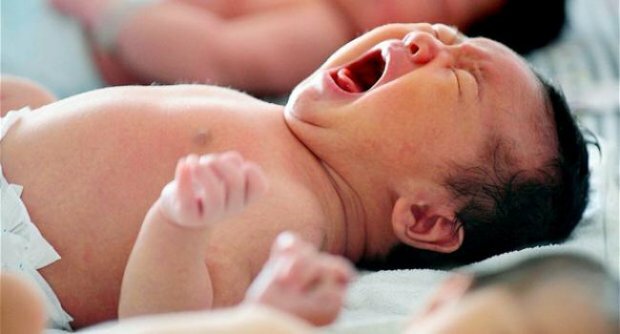 On the other hand delayed cord clamping – which is carried out more than a minute after birth – may also slightly increase the risk of jaundice. The World Health Organisation now recommends cord clamping between one and three minutes after birth. The existing guidance on cord-clamping was published in 2007 when the consensus was that cutting the cord immediately was the best option – something which had been the case for decades. But since then researchers have questioned whether that is still the case. The latest study involving 3,911 women and their babies showed clamping the cord later made no difference to the risk of maternal haemorrhaging, blood loss or haemoglobin levels and babies were healthier in a number of respects. When cord cutting was delayed babies had higher haemoglobin levels between one and two days after birth and were less likely to be iron deficient three to six months after birth. Birth weight was also higher with delayed cord clamping. Clamping the cord later did lead to a slightly higher number of babies needing treatment for jaundice which is treated by light therapy. Dr Middleton said: ‘The benefits of delayed cord clamping need to be weighed against the small additional risk of jaundice in newborns. The study is published in The Cochrane Library. This entry was posted in บทความเกี่ยวกับสุขภาพ, Study and Research and tagged การคลอด, ตัดสายสะดือ, สายสะดือ, cord clamping, cutting the umbilical cord, umbilical cord by ☀Tawan™ Guide ☀. Bookmark the permalink.